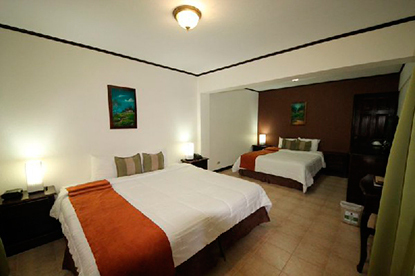 Poco a Poco means “little by little” in Spanish and is exactly how this Monteverde area hotel came to be. It started with just a few rooms and over the years the owners added more and more and it now features 30 comfortable rooms. What makes this property special is it offers the unique details of a boutique hotel with all of the amenities of a resort – and is a great value! You’ll love the heated swimming pool, jacuzzi, relaxing spa, and delicious restaurant. 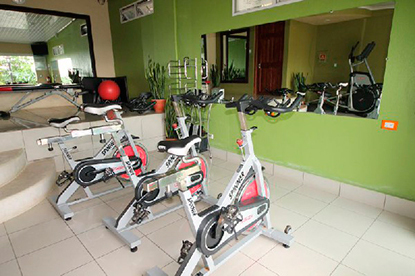 Hotel Poco a Poco is located right in town so you will enjoy a very comfortable stay with easy access to all restaurants and shops that surrounds town. This hotel is one of the few hotels in Monteverde that offers a Jacuzzy and a warm temperature pool for all the clients which is a really good option for relaxing after an exciting day of hiking and ziplining through the cloud forest! 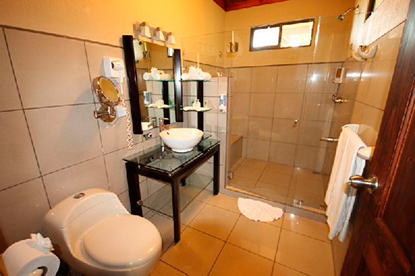 This hotel offers 4 different categories of rooms specialized for all type of travelers from the Garden Family Room to the Garden Superior room specialized for honeymooners. This hotels includes a delicious breakfast included and it offers Wifi in all the hotel. The hotel offers a restaurant which as a big variety of national and international food or you can just walk to town and visit one of the many restaurants. 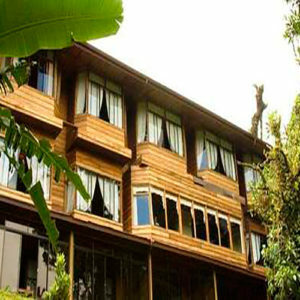 This chalet-style, cloud forest eco-lodge offers rustic yet comfortable rooms, each with views of the cloud forest from large picture windows. The jungle hotel features cozy and quiet rooms of all sizes- from large suites to small bedrooms.Suites also feature private balconies allowing you to do some great bird watching from your room! While not exploring the area, you can enjoy drinks at the bar and lounge on the comfortable sofas, great for meeting new friends or reading. Next to the bar is an international restaurant. 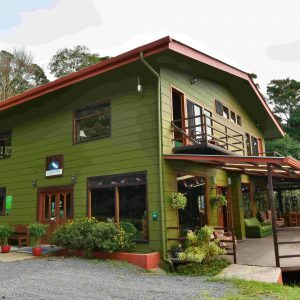 This hotel is owned by a couple that is in loved with nature and wildlife so you will be sure to get a customize experience with an extensive knowledge of Monteverde. 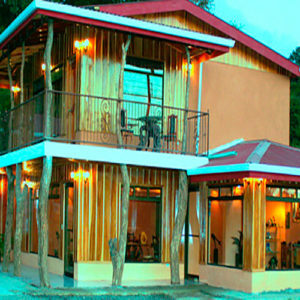 The Monteverde Rustic Mountain Lodge is a 14-room, family-owned and operated hotel. 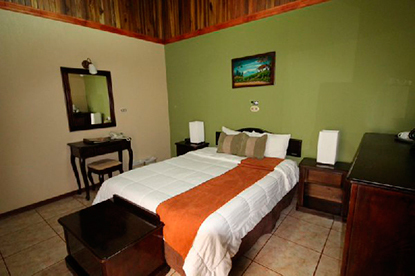 It is located in a residential neighborhood close to the main town area of Santa Elena it is just 10 minutes from the Monteverde Cloud Forest Reserve. 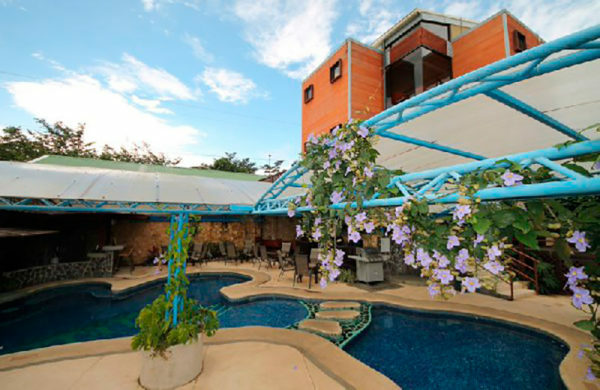 It is budget Monteverde hotel option with lots of personality! 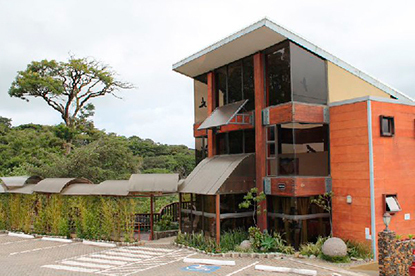 It is one of our favorite Costa Rica hotels and one of the best Monteverde lodging options.